On Tuesday February 16, all work in the Democratic Republic of the Congo will stop for a day of “dead cities.” With one voice, the civic and political opposition has called upon “officials, students, shopkeepers, national, international and UN agencies, farmers, and all Congolese” to stay home in a General Strike. February 16 has meaning. This day commemorates the 1992 massacre of Christian leaders as they marched in Kinshasa to demand democracy from then-President Mobutu Sese Seko. Why a General Strike? President Joseph Kabila is positioning himself to defy the Constitution and stay in office after December 19, the last day of his second and final term in office. Opposition groups are calling for President Kabila to state publicly that he will not seek a third term, that he will denounce violations of legal fundamental freedoms of speech and assembly, and that he will approve the organization of presidential elections in accordance with the Constitution. Unlike the Arab Spring of 2011, the Congolese activists are not seeking to topple their government, but rather to ensure the transition of presidential power happens, and happens on time through the established democratic process. The seeds for the Congo Spring were sown in 2015. 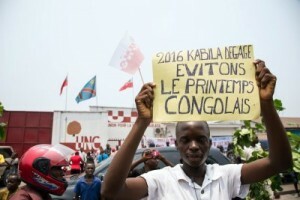 In January of last year, youth took to the streets in Kinshasa to protest the government’s plan to review the voter registry, which was seen as a ploy to postpone presidential elections. The protesters were met by an excessive use of force by government security officers that left more than three dozen dead, although ultimately the government conceded to their demand. Then on March 15, more than 40 people, both Congolese and foreign, were unlawfully detained by the Congo’s National Intelligence Agency as they attended a public workshop aimed at encouraging youth participation in the country’s political and electoral processes. 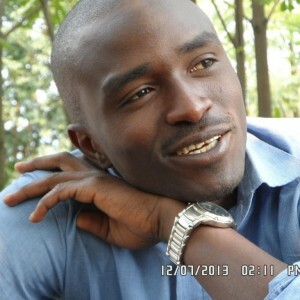 Fred Bauma, a leader of the well-respected youth movement, Lucha, was one of those arrested and remains in detention in Makala prison in Kinshasa. Rather than announce the election schedule, last November, Kabila announced a National Dialogue to discuss the electoral process. A move viewed by all as yet another delay tactic. It is in this context that the Congo’s notoriously fractious opposition leaders have united. They are unified on one point—President Kabila must arrange for presidential elections according to the Constitution and leave office no later than December 19. The United States, European Union, UK, and United Nations have all spoken out forthrightly urging President Kabila to respect the Constitution and to release illegally detained activists. Canada can take three simple pragmatic actions that will make a real and valuable contribution to peace and democracy: Speak up to let President Kabila and the Congolese people know that Canada expects the Constitution to be respected; join the international chorus of voices demanding the release of illegally detained activists; work with La Francophonie, the United States, and the European Union to find an exit route that President Kabila will accept so that he leaves office peacefully and on time. If President Kabila does not step down on December 19, the frustration of the Congolese people will explode. Kabila’s weak legitimacy will evaporate entirely, leaving a political power vacuum. Kabila’s military is too weak for him to rule the country through force. The security vacuum will be filled by more anti-government rebels resulting in a massive escalation of violence—in a country that has already experienced far too much bloodshed. From his prison cell, 25 year old Fred Bauma wants a peaceful path to democracy far removed from the violence that has marked his country’s history. Will Canada support these brave young peace-makers? The time is now.